Tailings recovery device is the latest machinery used in China's recent election (iron) ore industries, tailings production and recovery. 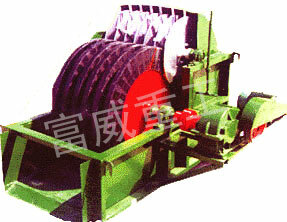 Its mode of production is mainly to mining equipment separation of waste again net choose, recovery. The recovery ratio of the sector reached a new level. Its stand-alone production, unique way, (also available with the mill, mill and other devices) maximum saves the national mineral resources. The device is the best material, design and reasonable structure, convenient operation and high economic returns. In the election of iron mining, it plays an irreplaceable role. Each year it restores for the state hundreds of millions of dollars of economic losses, make more users to step onto the road towards prosperity .It benefits the country and has broad prospects, market potential is tremendous . It is a good helper of laid-off workers, mining wealth fairly well-off people well. Let us put our hands together beneficiation recovery level of the production industry to a new realm to make our contribution.